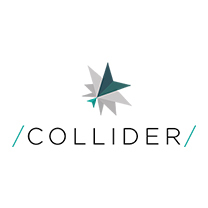 Collider is an accelerator that invests in tech startups that are building disruptive platforms, products and services that enable brands to better engage, understand and sell to their consumers. By mobilising a pot of cash, a crack team of coaches, and an intensive programme, we support our startups in becoming sustainable businesses. Over the course of our four month programme, our teams transform from startups to businesses, from cash burning to revenue earning, putting them on the road from MVP to IPO. The thing that defines us, sets us apart and drives us, is our laser focus on the sweet spot between startups and brands, and the commercial benefits they bring to one other. We fuse ambitious founders with progressive brands and specialist investors which fosters the fastest route to product-market fit, follow-on funding, competitive edge and revenue. Brands partners include Unilever, Diageo, News UK and The National Lottery plus a number of other high profile brands.